GooTile Translator is the most powerful translation tool on your device. Translate any sentence or phrase into any destination language, and enjoy a set of useful add-on features such as text-to-speech, history tracking, and integrated Twitter/Facebook/SMS/e-mail support. 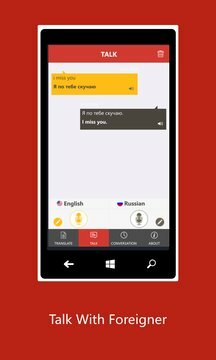 This GooTile Translator will turn your mobile device into a simultaneous interpreter, which is always with you. Travel, communicate, hold business negotiations with Speak and Translate. In any country as at home! Voice translator automatically detects and converts speech into one of 100 foreighn languages. Want to go to another country, but do not know whether there will be online? Not a problem - save favorite phrases in Favorites and pronounces them offline. Learn languages, check your pronunciation or use Speak and Translate as a dictionary or phrasebook. Traveling around the world with it without knowing the language is not a problem anymore! After translating a word or phrase, you can bookmark it. At any time, you can instantly return to your bookmarked phrases. Goo Translator will even remember your input phrase if you switch output languages, so you can quickly see what a phrase looks like in various different languages. 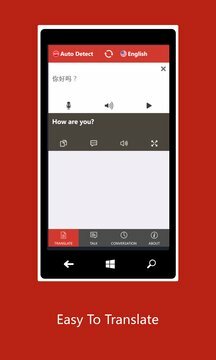 GooTile Translator allows to immediately translate any words or phrases including email or text to any of 90 languages：English, French, German, Italian, Japanese, Korean, Russian, Chinese, Spanish...and pronounce the words written for better understanding. GooTile Translato can translate your voice. With The application you can select between lots of different dialects, choose a male or female voice, and even control the speech rate. Great for travel, school work and everyday translation. Once translated the phrase for the first time, it will keep it in the memory to access it offline.